Kids, it’s only a trap if you let yourself get trapped. Be patient, and you’ll find someone YOU want to “trap”. Aw – who knew Alec was such a romantic?! 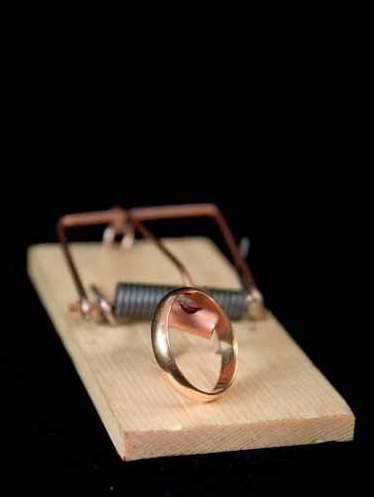 Don’t think of the ring as a trap. Think of it as a 2-ton millstone that saps every last drop of joy from your existence.